South Haven is a vacation destination with a rich history of progress and expansion. Industrial innovations and circumstances have shaped the area over time, leading to the charming city we know today. 2019 marks one hundred and fifty years since the incorporation of South Haven as a town. Throughout the year the city will celebrate this achievement and past historic accomplishments. South Haven has continued to build since its first settlers in 1833, both in size and reputation. Behind the quaint storefronts and glistening beaches of this destination town is a story of a community who has efforted toward expansion and prosperity, beginning with the lumber industry and progressing with the changing pace of time. The citizens of South Haven in the 1800’s were not only a community of hard workers, but a community who engaged in celebrations, political meetings, church services, and more. Much like our own communities today. Michigan Shore. He is believed to have built the first house, a double log cabin, located at the mouth of the Black River. While later relocating to nearby Lawrence, Monroe recognized the potential of the area. 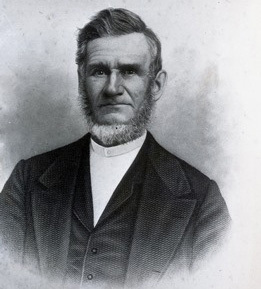 Settlers slowly began seeing this potential as well, especially after roads were established from South Haven to the Kalamazoo area and Paw Paw around 1835. 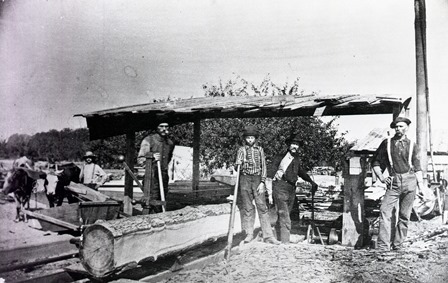 The industry that provided a means of expansion at the beginning of settlement was lumber, which was an achievable business with the available water sources in the area. In 1850 the first steam saw mill was built with one upright saw on the bank of the Black River. Two years later another saw mill was built, and more followed. Saw mills allowed for expansion in multiple ways. Jobs were made available as labor was required to operate the mills and the area was being cleared, providing spaces for buildings. These structures were soon used for housing and businesses, and the town of South Haven began to grow and shape. That same year in 1852, the village was platted, and the first one-room schoolhouse and post office were constructed. The first hotel was built one year later and served an equally important role for the developing town. South Haven’s first hotel was originally named the Forest House, and later changed to the National House, and then the Pacific House after new ownership. In 1852 the population was estimated to be two hundred people, with around half of that number residing in the Forest House. The structure was three stories high, with the third floor serving as a full-length ballroom. The ballroom was the hub for social gatherings, political meetings, and religious services. Through the years of service, name changes, business changes, and even relocation, the Forest House still stands today as South Haven’s oldest building, located at 313 Center Street. 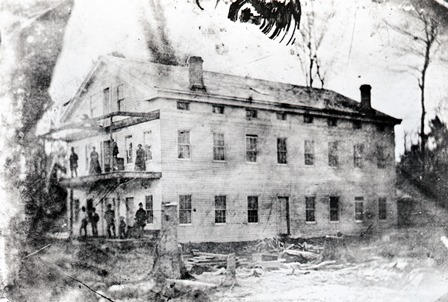 The construction of the Forest House hotel would not have been as possible without the presence of sawmills, and sawmills were the first of many industries to inhabit the area. The result was the development of the town. 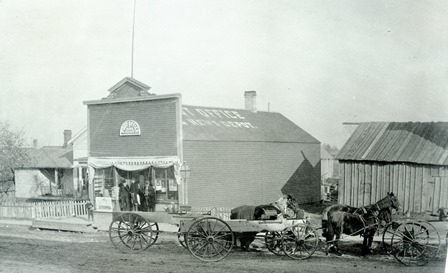 South Haven has seen growth every year since 1833, with buildings, population, businesses, and organizations. The Forest House is representative of the changing tides in South Haven as it has progressed through time. The hotel’s beginnings were rooted in community, as it was used for housing, renting, entertaining and conducting business. These same aspects are what keep South Haven afloat today, serving as both a permanent residence and a vacation retreat. Over the course of the present year I will be taking readers through this popular city’s timeline and exploring the unique aspects that have made South Haven what it is today; A haven, for the community and its visitors alike. 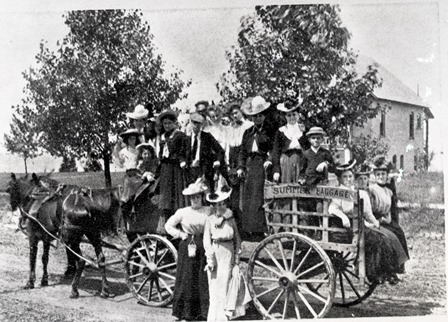 Tourists in the late 1800's posing on a wagon with a sign that reads, "SUMMER BAGGAGE"
Amanda Owens is a resident of South Haven, MI and is the Guest Services and Social Media Coordinator for the South Haven Convention and Visitors Bureau. She is a recent graduate of Western Michigan University with a Bachelor's degree in Public History, and is delighted to help visitors with their trips to the beautiful city of South Haven.